Wellmont Health System, Kingsport, Tenn., has named Bob Burgin as its interim CEO while the system conducts a search to replace Mike Snow. Snow announced last month that he would leave Wellmont to become chief operating officer of home-health provider Amedisys, Baton Rouge, La. 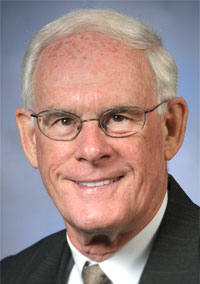 Burgin has been a member of Wellmont's board since July 2009. He was president and CEO of Mission Hospital, Asheville, N.C., for 24 years until he retired in 2004. Since then, Burgin has been a consultant for KPMG and also worked with Mission's foundation for three years after his retirement. Wellmont declined to provide Burgin's age. Wellmont's board will work with an executive search firm to find a successor to Snow, a process that should be completed within six months, according to the system.